Enter your starting address or town in the box below and click "get directions". Google Maps will calculate accurate directions to Chester County Hypnosis for you. Please be patient, it may take a few moments to calculate. Parking for Chester County Hypnosis is located across the street in spots marked "149" , "150" or "Guest". There is no need to come early, right at the time of your appointment will be perfect. Please remember to turn your cellphone off during our session. Chester County Hypnosis is located off Rte 3 in West Chester and is easy to get to from anywhere in the Philadelphia area, including Exton, King of Prussia, Valley Forge, Malvern, Paoli, Main Line, Downingtown, Phoenixville, Great Valley, Unionville, Kennett Square, Coatesville, Glen Mills and Philadelphia. With close access to Routes I-76, I-476, 202, 30, 252 and the PA Turnpike, our clients find that we are a short drive from anywhere in Southeastern Pennsylvania, Northern Delaware or Southern New Jersey. How DOES Hypnosis with CHESTER COUNTY HYPNOSIS WORK ? Chester County Hypnosis provides proven, tested products and services that help our clients to make big changes in their lives. Stop Smoking for Good, Successful Weight Loss Management and Managing Your Daily Stress are just a few of our popular programs that will help you to take back control of your future. Hypnotism has been clinically proven to have some of the quickest, easiest and most long lasting positive results for people to make fundamental changes in their behaviors. An excellent way to stop smoking, hypnosis is also equally effective with cigarettes or cigars, smokeless tobacco or even Nicorette gum. We can also use hypnosis effectively for quick and permanent weight loss, to improve sports performance, to relieve stress and tension, to improve sleep and reduce insomnia, to eliminate many fears or to change bad habits. Hypnosis sessions can improve your memory, recall and concentration or control pain without prescription drugs. Hypnosis and Self-Hypnosis can help you to have increased motivation, reduce any procrastination or laziness, have a positive, optimistic outlook and enjoy your life much more. We could be helping you to change your life for the better right now, so call 610-296-4929 today. We'd be glad to answer any questions that you may have. Never let circumstances dictate your future. Whether you realize it or not, you have all the power needed within you at this very moment to make any changes you want to make. 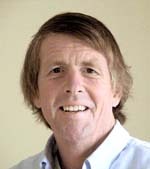 Joseph Nunan CH is an nationally known, fully Certified Hypnotherapist, Certified Hypnosis Instructor and member of the Teaching Faculty of The National Guild of Hypnotists, the oldest, largest and most respected hypnosis accrediting organization in the world. Chester County Hypnosis operates according to the National Guild of Hypnotists' Code of Ethics and Professionalism, and we consistently provide our clients the very best services, to help them easily accomplish and surpass all of their desired goals. Our primary purpose is to enable our clients to quickly and easily achieve positive personal change.